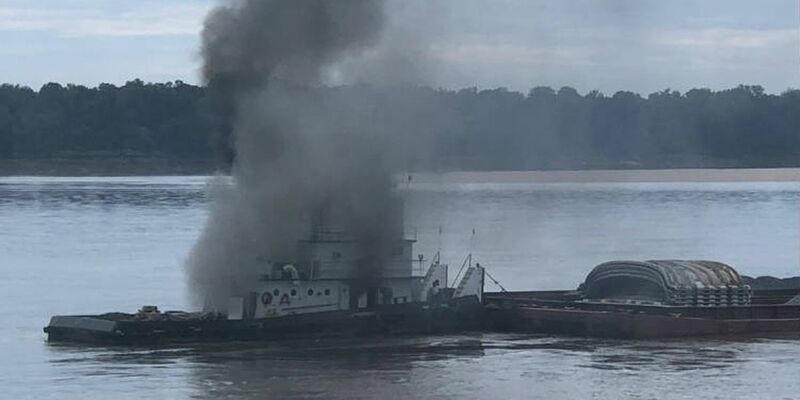 WEST HELENA, AR (KFVS) - The Coast Guard responded to a vessel fire on the lower Mississippi River near West Helena, Arkansas on Wednesday, September 12. Coast Guard Sector Lower Mississippi River watchstanders received a notification at 10:30 a.m. of a fire aboard the vessel Jacob Kyle Rusthoven near mile marker 673. According to the Coast Guard, the Jacob Kyle Rusthoven was pushed to the Arkansas bank of the river where firefighting efforts continued. They said there is a reported 13,300 gallons of fuel on-board with no reports of pollution at this time. A waterway closure was issued between mile marker 664 and mile marker 674 on the Mississippi River.